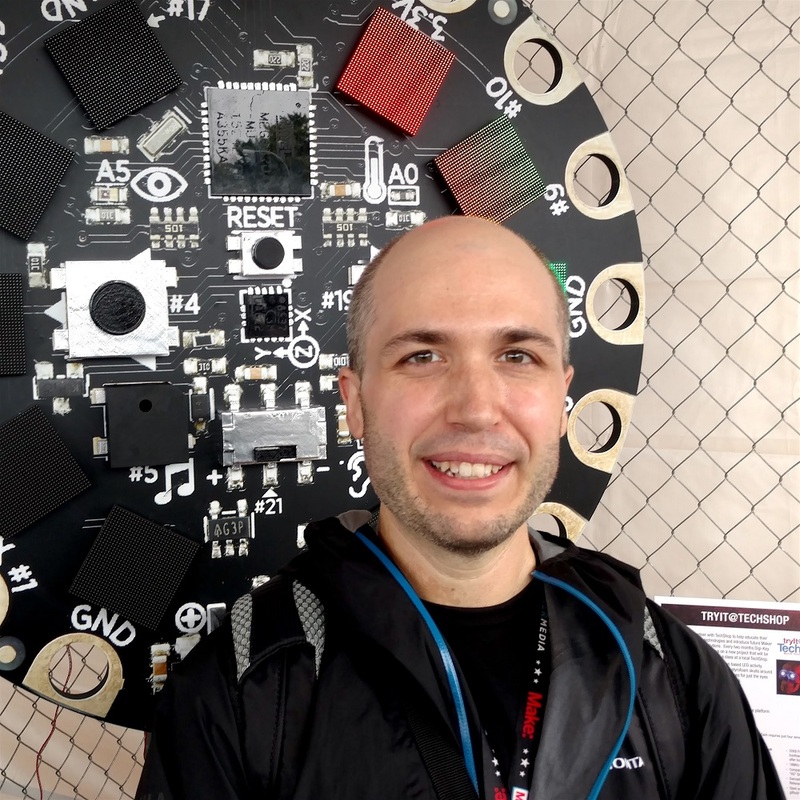 Welcome Tony DiCola of Adafruit! Python has been around for a long time, but most people are referring to Cpython. It has a large fan base and lots of library support like NumPy and SciPy. Micropython was developed in 2013 by Damien George for memory constrained environments. It has roughly 90% compatibility with regular Python. Python runs on other higher power platforms like the BeagleBone black and Raspberry Pi, which Adafruit also has lots of great tutorials about. MicroPython shows a REPL when you connect via serial port. It looks very much like a command prompt. You can mix C and MicroPython, which makes it an interesting candidate for low level hardware operations. You can also hook into assembly using a special decorator. Compilation happens in pre processor. There is a default FAT file system in flash. You can boot right into a script by having main.py in the file system. Other files can be used in the file system to represent libraries. PIP is a default way to install libraries on desktop Python, this might get added to MicroPython. The .mpy file format is a condensed versions of files, which prevents comments take up room in flash / ram. ESA is considering using MicroPython on satellites because they are relatively easier to reconfigure. Chris has been using the Huzzah Feather board and the associated LED Featherwing. Great for trying out the setup! Follow Tony and the Adafruit feed on Twitter!